Putting together a cover letter can be tough. You’re flat out getting your resume in order. Next you have to write your cover letter. Sometimes a completely different cover letter for each job you’re applying for. After a cover letter sample for your resume? You’ve come to the right place. 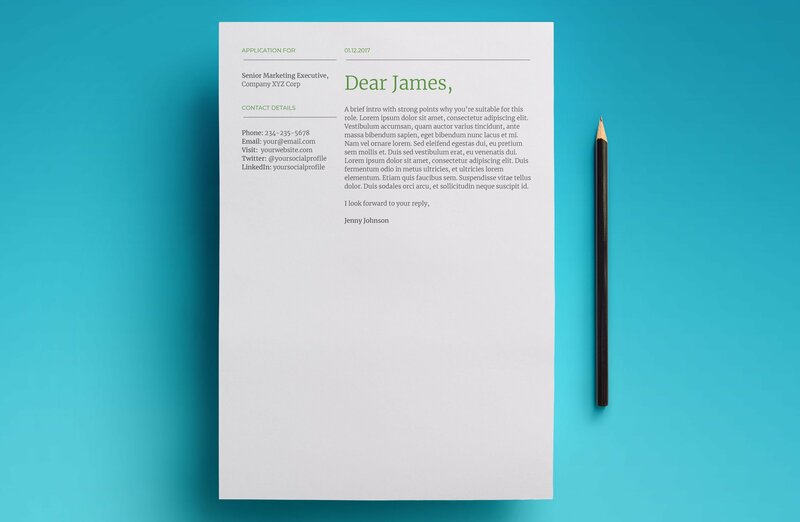 Below we’ve collected 10 of the very best cover letter samples for you to use on your resume. Enjoy. This sample cover letter for resume features everything you need! From the role you’re applying for. To the date, all of your contact details and of course some room for the ever important letter to the employer. 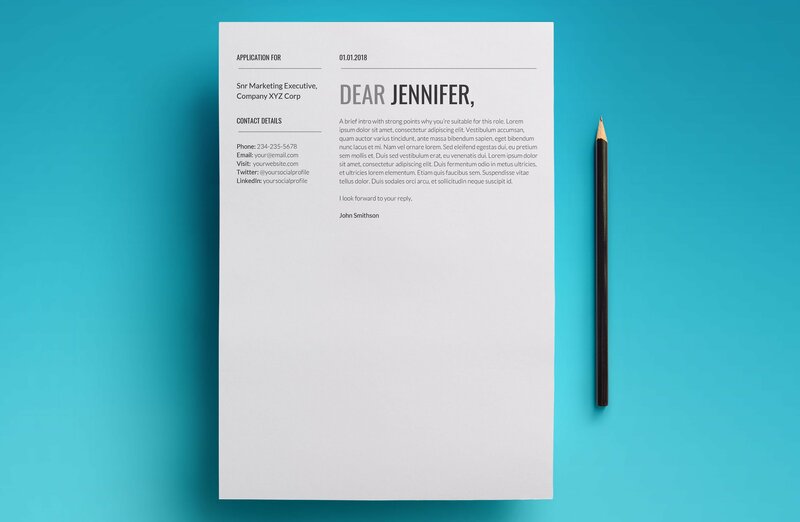 An amazing resume cover letter for all occasions. 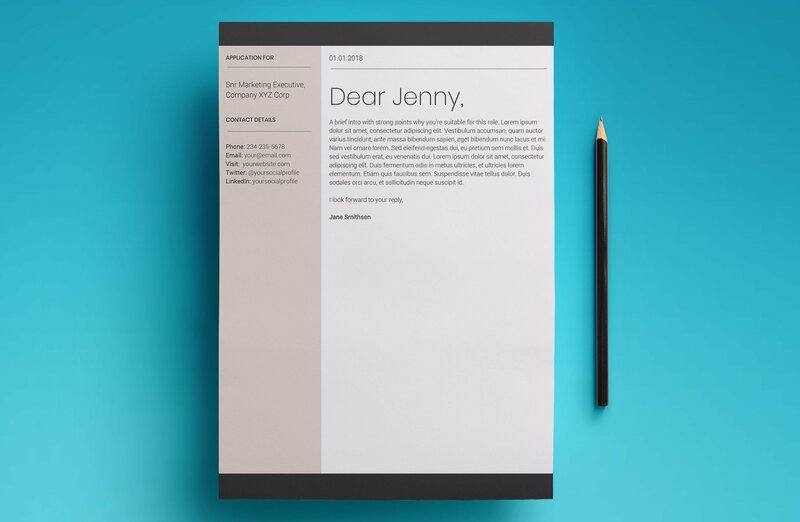 This elegant resume cover letter commands respect and authority for your next job application. Contact details, job you’re applying for, date and space for your letter. It’s all there. This bold resume cover letter example gets straight to the point! It can’t be missed either. With its bold red copy it really makes a statement. Use it to apply for your next dream job today. 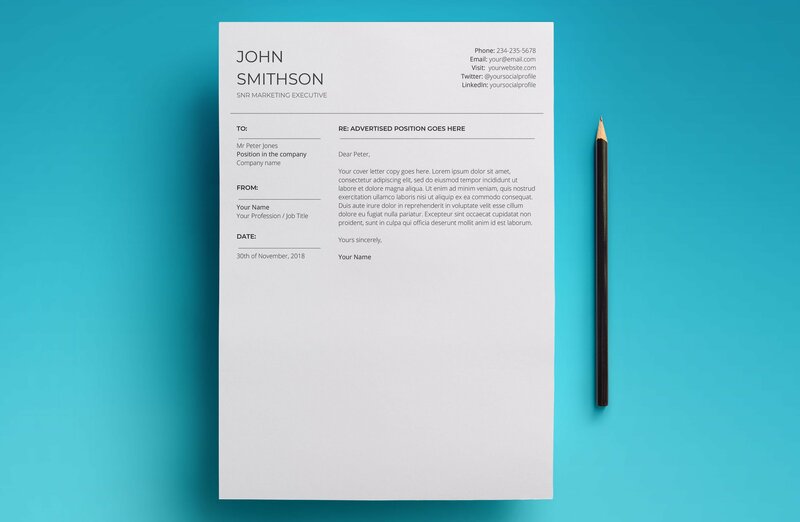 This simple and classy resume cover letter is exactly what you need to make a statement on your next job application. With it’s clearly designed lines and beautiful use of typography. This cover letter has everything you need to impress and get that job today. 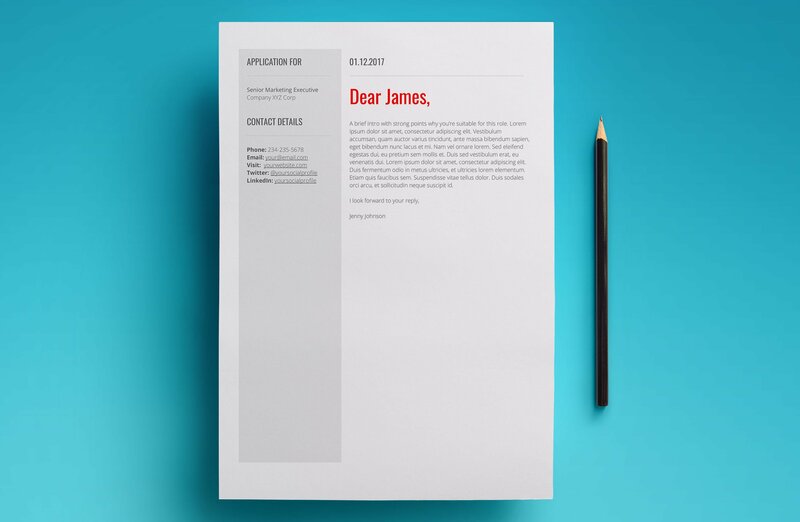 Stand out from the crowd with this bold example of a cover letter for your resume. With it’s earthy colours and solid design it’s got everything you need to include in your resume cover letter. The Proxima cover letter template is the one you need to get the job done when applying for your next job. It’s powerful, simple appearance oozes quality and authority. It’s bound to get your foot in the door for your next interview. Let your talents out of the box with the Pandora cover letter sample. With it’s striking appearance that’s bound to get you attention in the boardroom. Contact details. Position. Letter. It’s all there in this feature packed cover letter download. Callisto is the perfect, all-rounder cover letter for your next job application online. Send your resume across with confidence knowing you’ve got all the elements of a great cover letter with Callisto. A brilliant example of a cover letter template is Mars. With its slick single colour design and simple yet classy design it’s definitely the one for the job. It’s an all-inclusive resume cover letter. 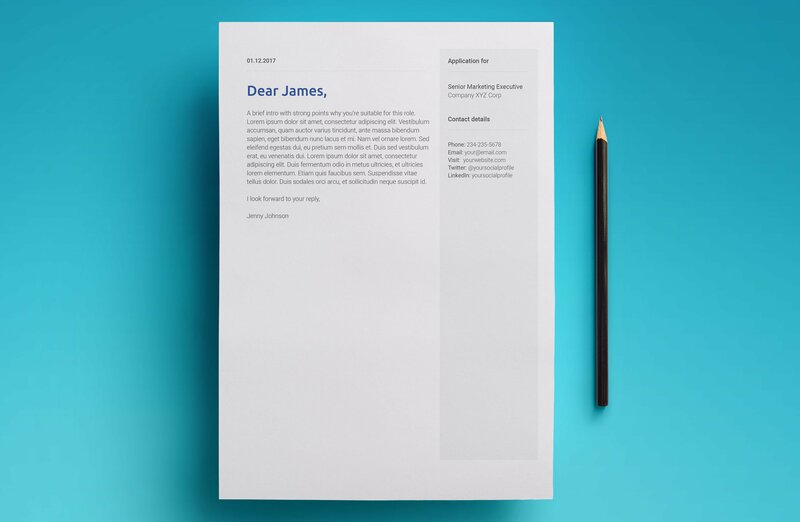 This free resume cover letter template is bold and impressive. It features everything you need to accompany your resume for your next job application. Contact details, position your applying for. Your name and your letter to the employer. So there you have it folks! A round up of 10 of the very best resume cover letter samples for your next job application. You can be sure to present yourself, your skills and your job application with the upmost confidence from now on. Good luck with the job hunt! The UpResume team.